Welcome to your Ocala, Belleview, Marion County, Lady Lake, The Villages, Summerfield, Sumter County, Golf Course & Retirement Communities Real Estate website for buying or selling: homes, condominiums, luxury estates and residential income property. Our goal is to provide you with information on the Ocala, Marion County area as well as other useful real estate information. The McCall Real Estate Group's Buyer Consultants are ready to assist you! Visit The McCall Real Estate Group and locate one of our buyer consultants and let us know how we can assist you. 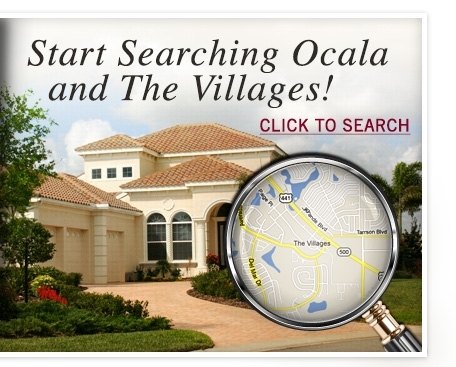 Search the entire Ocala, Florida MLS for homes that are available for sale. Thousands of new residents are attracted each year by the market's healthy economy, excellent quality of life, diverse recreational activities, pristine environment, and the wide array of shopping opportunities. Beyond Ocala, scattered amid crop lands, horse farms, and acres of national forest, lie new communities where residents enjoy all the conveniences of contemporary living. A drive of just minutes takes them from pastoral countryside to modern shopping centers and malls, restaurants, cultural events, nature-based attractions, and educational opportunities. We offer you a Customized-detailed Relocation Guide of the Marion County/Ocala, Florida area, please email me at [email protected] so we can send it to you. You will be glad you have this in-depth information on our wonderful area. If you are 55+ we offer you plenty of resources to assist you with your needs. Visit our 55+ website for useful infromation. Whether you are visiting or currently living in the Ocala area, we offer you a wide variety of resources to keep you busy. Visit Ocala Resources for information on what is available for recreational fun! Our official website - The McCall Real Estate Group offer you all the information you need about our area. Are you looking for a specific community, investment information, useful real estate resources? Visit The McCall Real Estate Group to find exactly what you are looking for and if you don't find it there send us an email and we will gather the information you need and send it to you.